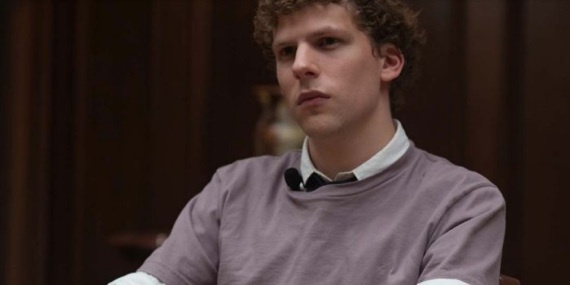 A compelling drama about the creation of Facebook, The Social Network is the first internet era business movie classic. It's 2003, and Harvard freshman and computer wizard Mark Zuckerberg (Jesse Eisenberg) is smart, conceited, and has no friends. His girlfriend Erica (Rooney Mara) dumps him, and in that same drunken evening he hacks into various Harvard student club databases and creates FaceMash: a website where guys can rate the photos of campus girls. By 4am the popularity of the site crashes the Harvard network. Mark gains instant campus notoriety, and is soon approached by twin brothers Cameron and Tyler Winklevoss, also Harvard students, but from a rich, well-connected family. The twins invite Mark to help them implement a new website for Harvard students to connect with each other. Mark agrees to work with the twins, but doesn't follow through. Instead, a month later, he launches The Facebook, his own web site for social interaction. Mark appoints his best friend Eduardo Saverin (Andrew Garfield) as his 30 percent partner and Chief Financial Officer, in exchange for a $1,000 investment. The Facebook takes off, and is soon the coolest new web site on campus. Eduardo pushes for its quick commercialization; Mark resists, wanting to keep the site free of advertising until he knows what it can become. Meanwhile, the Winklevoss twins are sure that The Facebook is based on their idea; eventually, they decide to sue for damages. Mark and Eduardo meet Sean Parker (Justin Timberlake), the notorious and charismatic founder of Napster, the illegal music file-sharing website. Sean sees the huge potential in The Facebook (and recommends that the name be changed to just Facebook). Mark falls under Sean's spell, but Eduardo is repulsed by Sean's blatant narcissism. Mark follows Sean's advice and moves to Silicon Valley; Facebook explodes into an international sensation, and venture capital pours in with Sean's help. Eduardo is now out of his depth and out of tune with Facebook's potential. As the site reaches the one million user milestone, Mark and Sean force Eduardo out of the company by diluting his shares down to nothing in an underhanded deal. Eduardo launches his own legal action against his former best friend. All the lawsuits are a minor nuisance to Mark: he becomes the world's youngest billionaire. 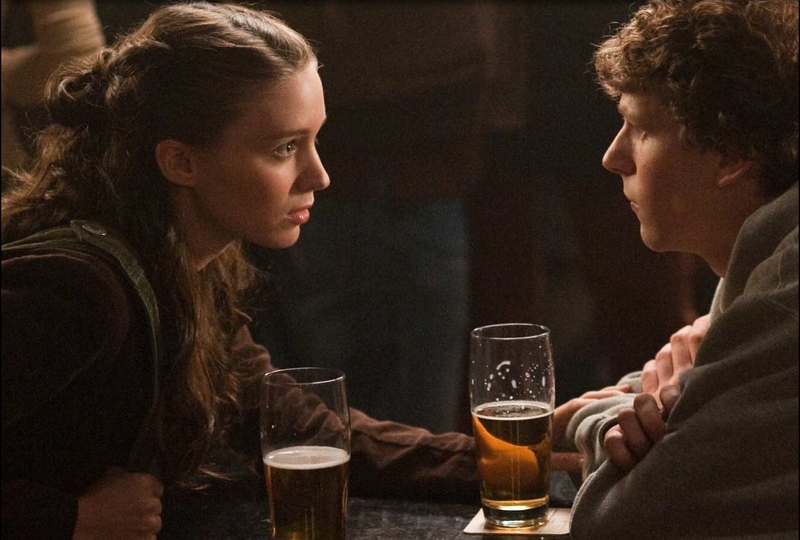 The Social Network is a two-hour talkathon, and writer Aaron Sorkin delivers a screenplay that is more than capable of propelling the drama. Although the script is disappointingly silent about Zuckerberg's life before the fall of 2003, it is otherwise a masterpiece of storytelling through dialogue, and avoids all melodramatic cliches. Inter-cutting scenes at Harvard and San Francisco as Facebook is created with scenes of legal discovery as the lawsuits unfold, Sorkin creates drama through intellect rather than histrionics, and maximizes the sense of brainy realism that the film is built upon. Working from the terrific script, the actors do their part. Jesse Eisenberg successfully projects a sense of inflated cockiness, single-mindedness, impatience with lower intellects, and the almost total absence of empathy. From the supporting cast Justin Timberlake is irresistibly fluid as the magnetic but uncontrollable Sean Parker. Director David Fincher is steady and unobtrusive, allowing the actors and dialogue to take centre stage. The Social Network is the story of the modern economy, where on-line success can be achieved in hours, a global multi-billion dollar business is launched from a dorm room in a matter of days, and value is measured by coolness rather than widgets. But some things never change: a cut-throat attitude and unwavering self-belief remain more than useful attributes for success.